Today, after a very lazy start, me and The Bride went on a leisurely walk around the place. After finding the areas I had cleaned out paths last year still very passable we went down to the creek. 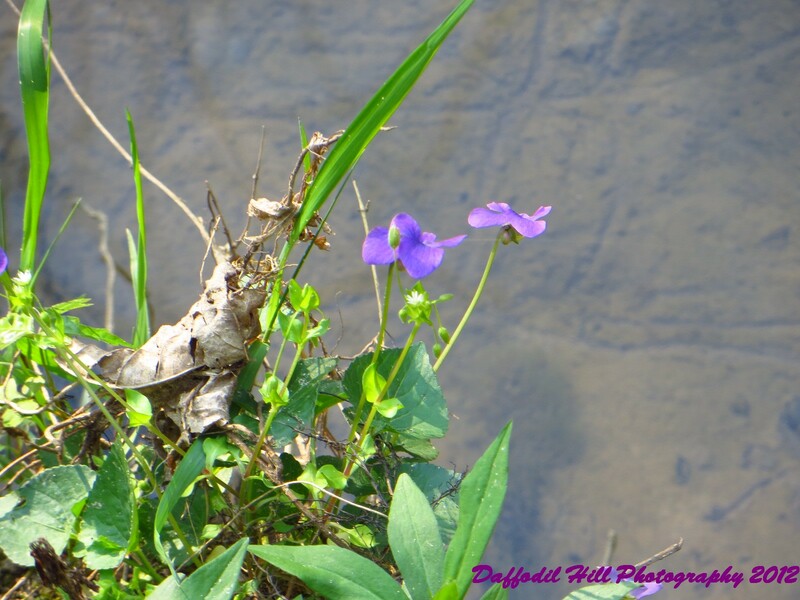 The violet pictured is about ten feet down the bank right above the creek.It was such a stark contrast to the sandy bank and bleak brown creek bottom I had to take the shot. 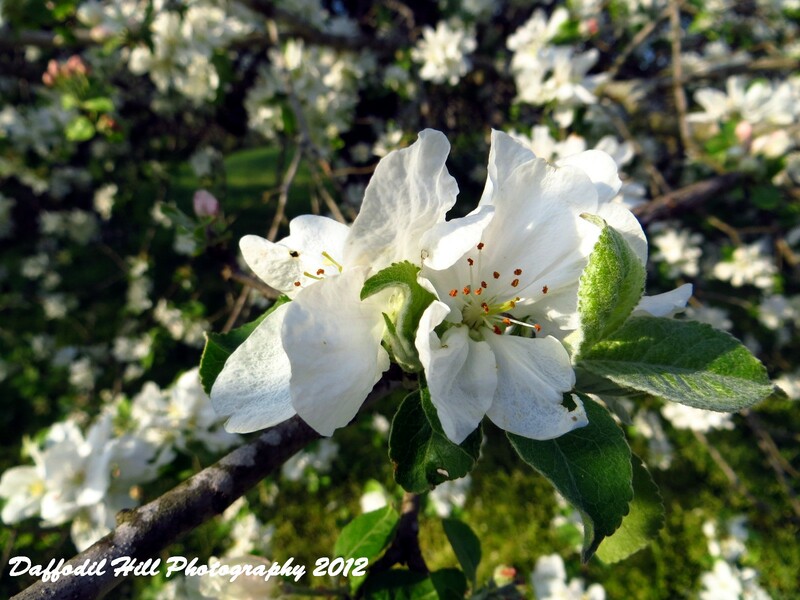 The apple blossom is from a very old apple tree The Bride has named Grandfather Apple. 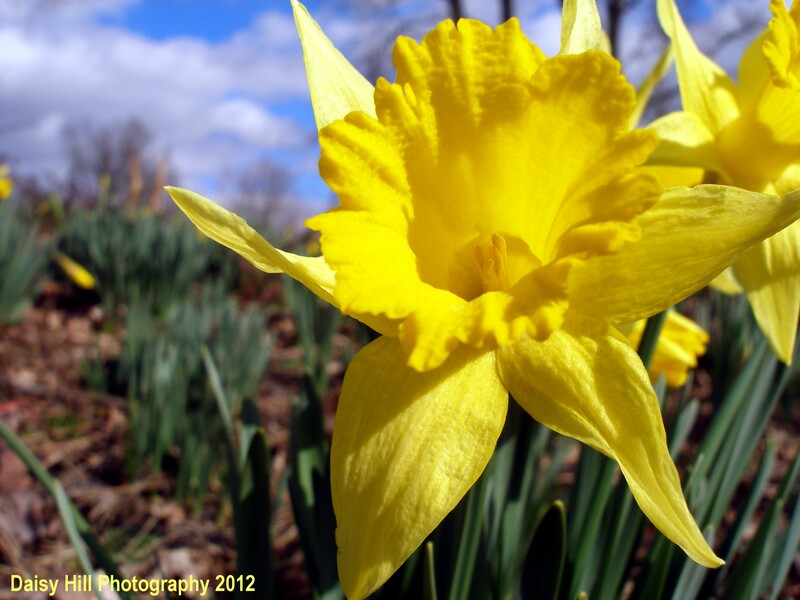 It has bloomed early like every thing else around here and adds flavor to the emerging colors and smells of an early spring. 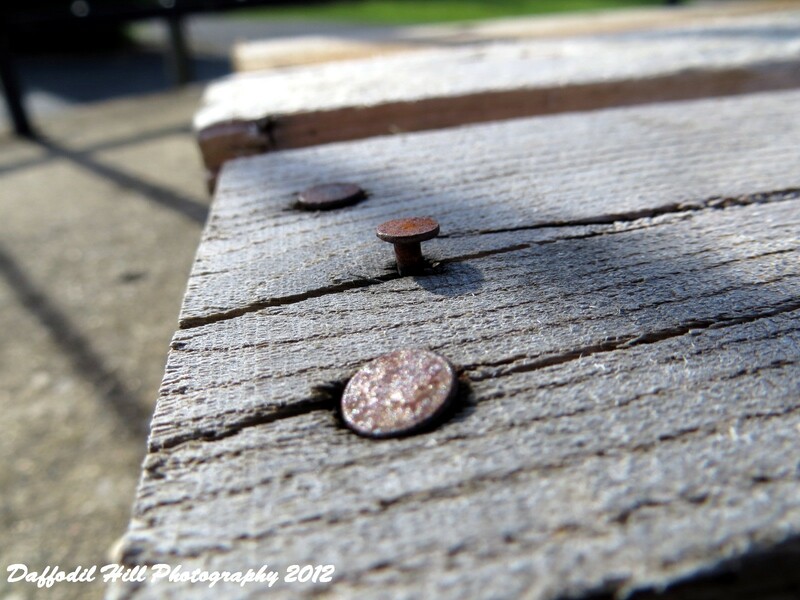 The last photo is of a wooden pallet outside of the loading dock at work. I see the pallet as thus so I am not sure what that says about me. My view of a wooden pallet. Please feel free to comment on what you like and what you do not. I have a very hectic schedule when I am on call at work. Whether it rains or I am running out of day light sometimes I simply have to take a moment and breath. Enjoy! 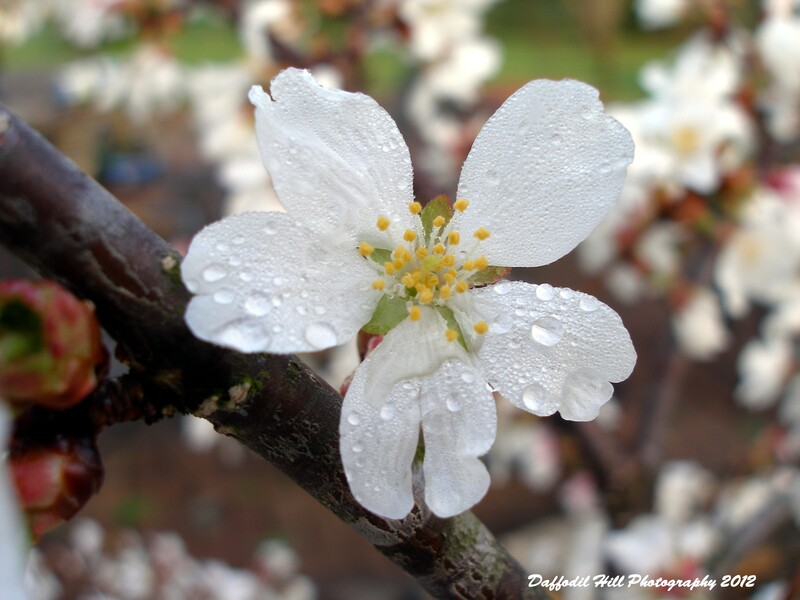 Taken with my Nikon 4600 early one morning after a night of rain. It is hard for someone of my folks generation to think that something seven years old is old and obsolete. For those of us who were born right before or shortly after c.d.’s became the new tech, well we know how quick something becomes old and out dated. I for one love it! I bought a Nikon CoolPix 4600 for a dollar in a yard sale last year. It had a busted screen but after I took out the batteries and installed them properly it came to life. I added a SD card and fun times ensued! I took a lot of pictures with it till it gave up the electronic ghost this January. I have since bought another one off an online auction. This picture was taken September of 2011, with my old 4600, and I just ran across it today and it reminded me of what a capable little camera the 4600 is. Enjoy! 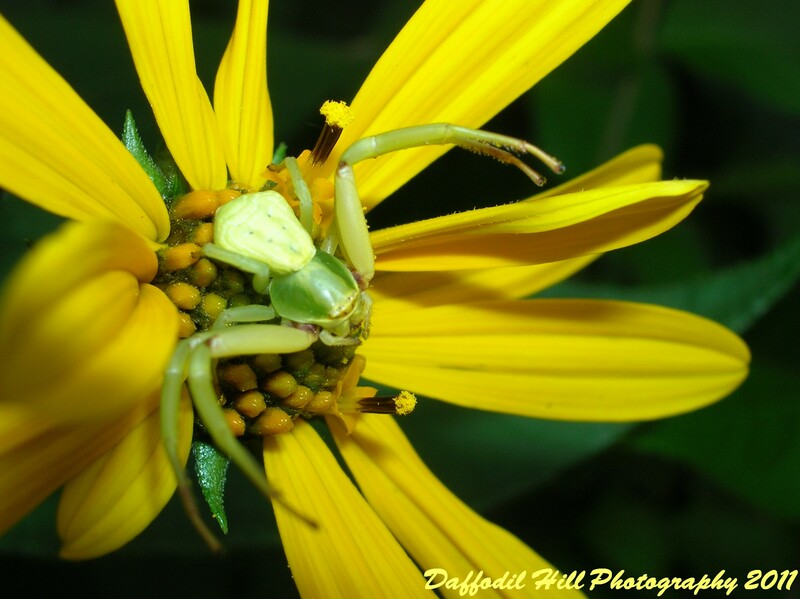 A daisy and a very cool little spider! The last week has been some what of a challenge. 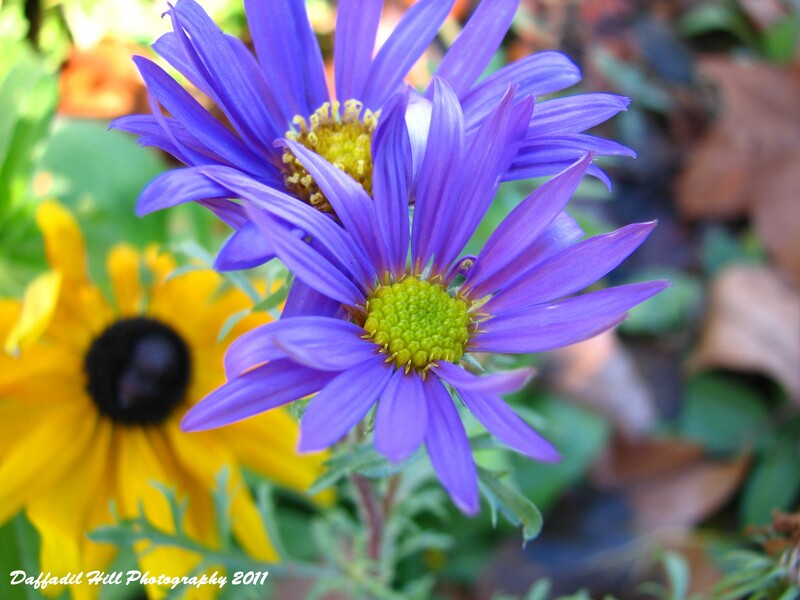 Getting a chance to shoot has been as well but I have a very good friend with a wonderful garden I know I can access. My wife and I enjoy it and the quite it brings. 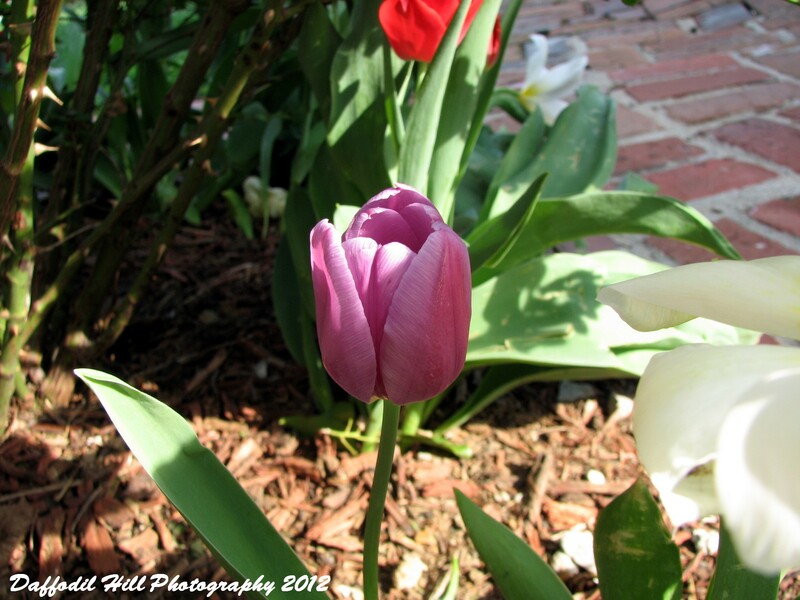 It is open anytime I need a space to breath in.The Tulips are from her garden and the Magnolia Bush from a drive by shoot I did after a storm passed midweek. 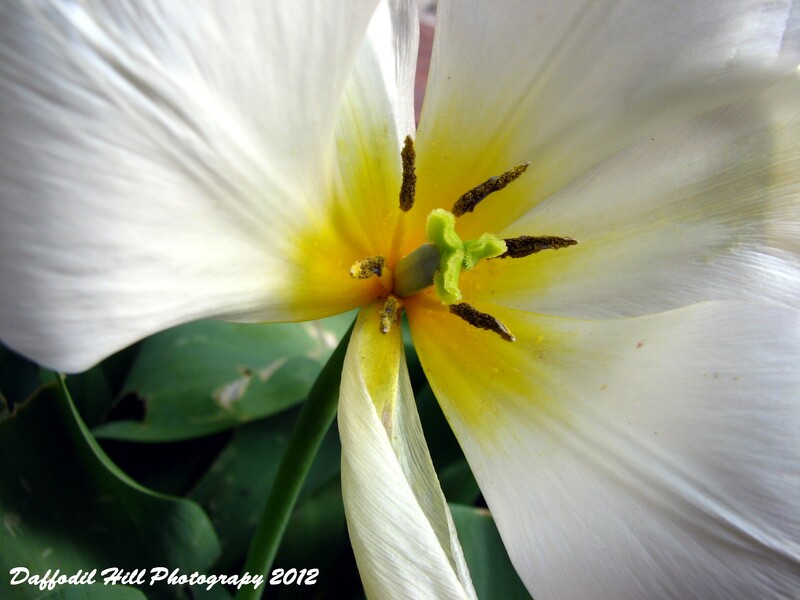 The storm left the petals battered but still standing. Enjoy! 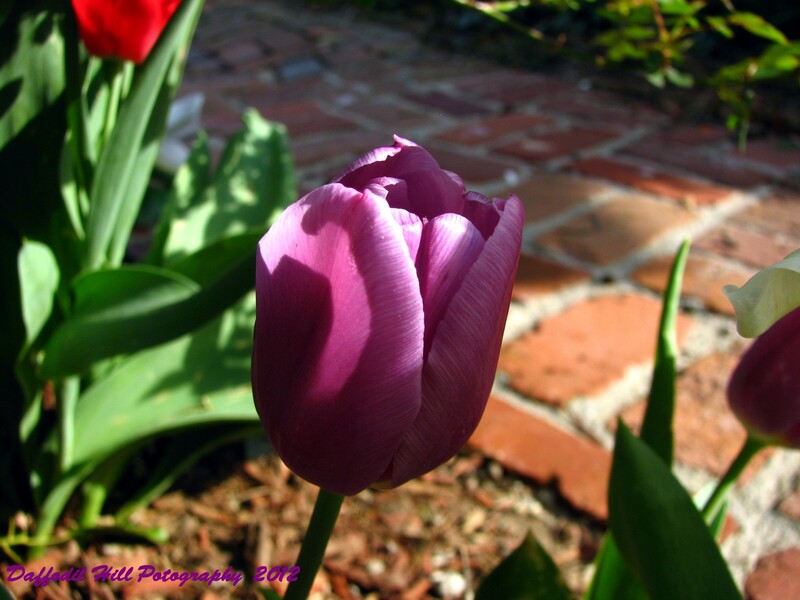 The last rays of the evening sun brushed lightly on this pruple tulip. Take with my Canon S3is. Authors note: I heard this tongue in cheek quote on the NPR show On Point from nature recorder Bernie Krause, author of The Great Animal Orchestra: Finding the Origins of Music in the World’s Wild Places. 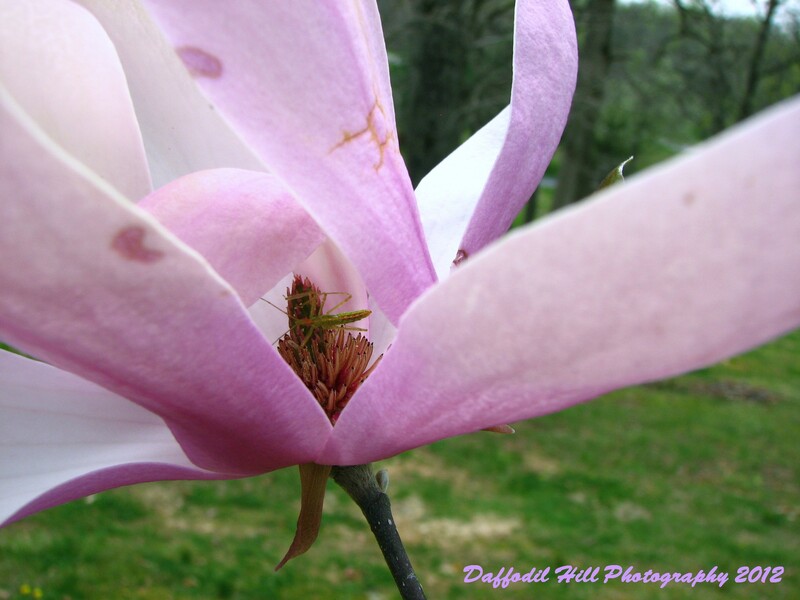 The new blog is about my journey through pictures as a novice photographer. There will be some dialog but mostly just a picture or two or three once a week or so. Enjoy! 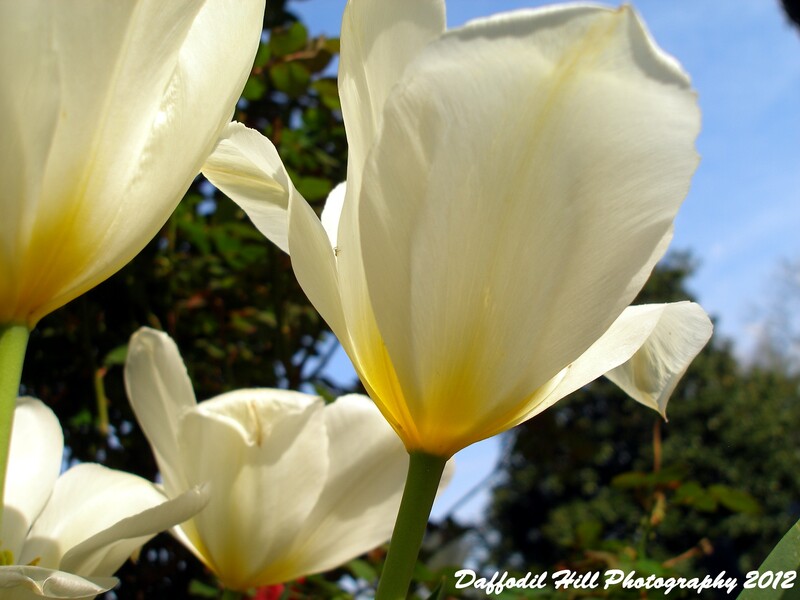 This was taken with my Olympus Sp-350.